Mechanical Automated Control Systems, Inc. Mechanical Automated Control Systems, Inc. (MACS, Inc.) is a systems integration company that focuses on new construction, renovations/retrofits, system expansions and the integration of the numerous facility systems now available. Our wide-ranging customer base includes Health Care, K-12, Higher Ed, Hi-tech, Manufacturing/Industrial, Bio-pharmacy and Commercial marketplaces. Our offerings include, but are not limited to, Building Automation Systems (BAS / FAS), HVAC Controls, Indoor Air Quality (IAQ), Lighting Controls, Energy Management / Power Monitoring (EMS), Card Access / Identification, Intrusion Detection, Closed Circuit Television (CCTV) and the associated Systems Integration that compliments these offerings. Through our relationship with Andover’s parent company (Schneider Electric), MACS, Inc. can offer standalone and integrated solutions utilizing the best of the facility automation systems listed above. A sampling of our product lines includes Andover Controls DDC equipment, Integral Technologies video capture/recorders, Pelco CCTV cameras and video control equipment, Square D variable frequency drives, various lighting control and power monitoring/management products such as APC UPS and surge protection, and are partnered with many others. 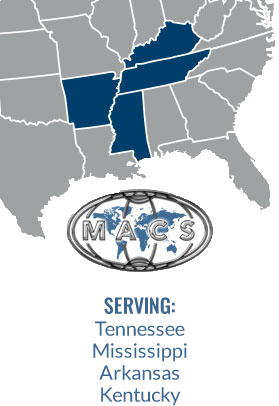 MACS, Inc. dedicates our business solely to Facility Automation, Security Solutions and Integration, which differs from many other Automation Systems providers who offer their systems only as a supplement to their core business. Give us a call, or email, today to discuss how MACS, Inc.'s skills and experience can improve your business, energy consumption, man-power efficiency, occupant comfort, and indoor air quality.